The proposal raises a triangular building that tops the perspective of the park. The Town Council of Santa Cristina d’Aro commissioned us at the end of 2006 the project for the municipal library. 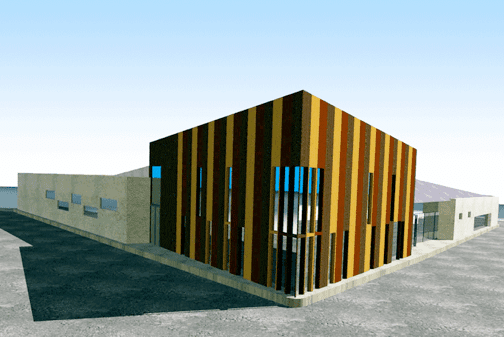 In May 2007 we presented a preliminary project to the Town Council with a proposal with respect to spaces and volumes. Subsequently, the libraries service of the government of Catalonia asked for some modifications to that preliminary project, and the complete constructive documents were produced in 2009. The proposal presents a triangular ground plan building which completes the overall perspective of the public park, with a facade towards the lateral street for access and has a private garden at the rear. A public space is planned as an entrance square, which will be shared for the library and the other facilities to be built underneath. The building, with a total area of 988 m² is developed with the use of triangular geometry and the succeeding structures from the corner and vertex with the park, which is intended to be a point of reference and showcase for activities. 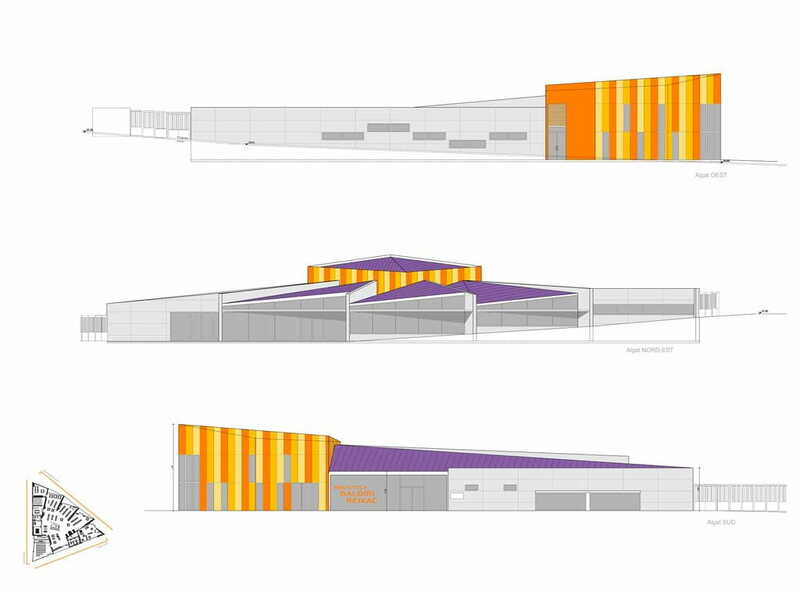 The ground plan extends in the shape of a fan, creating different areas for promotion, for children -next to the main facade, for book lending, an area for reading with an exit to the rear garden and a more closed area for other services which has an exit to the street. • Rooms for consulting books and reading, with a quiet and isolated atmosphere which will face towards the north-east. 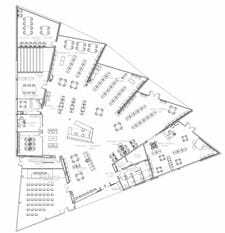 • The more dynamic part: children’s area, conference and press room facing south, and serving as an entrance hall. • The services area (staff room, bathrooms, storage and study room): facing west and more enclosed, slightly lower with respect to the lateral street. 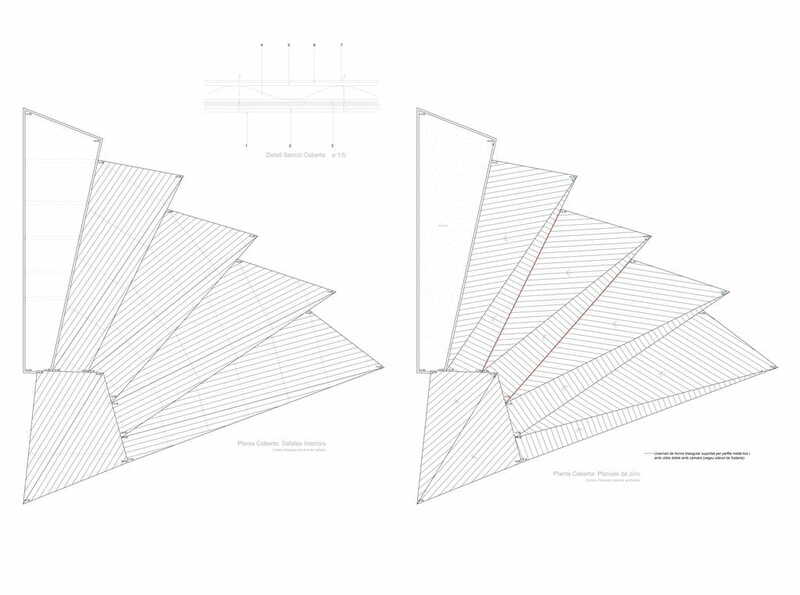 The triangular geometry also plays a role in the roof of the building, comprising of various sloped faces which allow for triangular light windows between them.